While in Atlanta, I’ve been checking out Highland Cigar Company, usually going on Sundays. 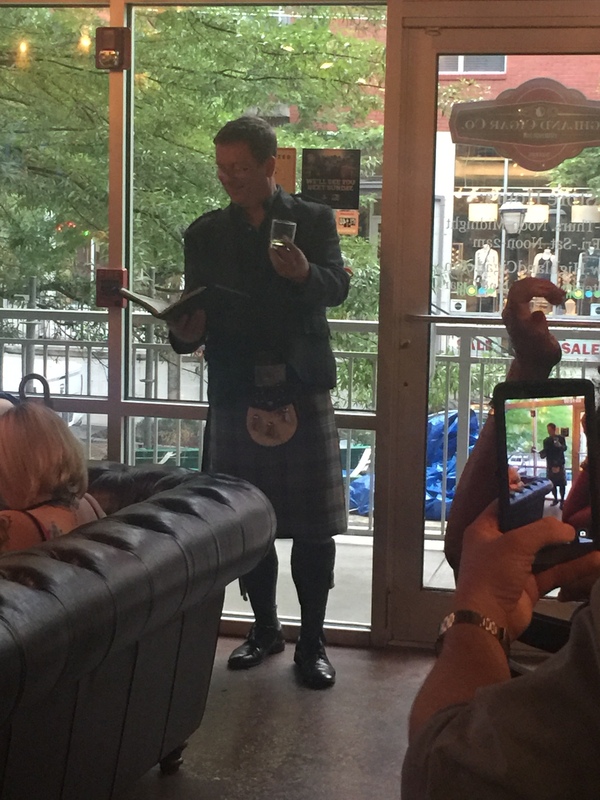 Last week, the 28th of June, the folks there hosted Simon Brooking, from Beam/Suntori and we tasted some nice Scotch Whiskies. about” for about 8 years. The blend had more power than expected, but was mild enough that a novice smoker could enjoy it, along with it not balancing well with the whiskies. To be honest, I was shocked that the cigar paired so well with an Islay whiskey, but that’ll come up in my notes shortly. The first whiskey was Auchentoshan 3 Wood. Matured in Bourbon, Oloroso Sherry and PX Sherry casks, this scotch had really refined flavors and a lovely finish with a pleasant finish. 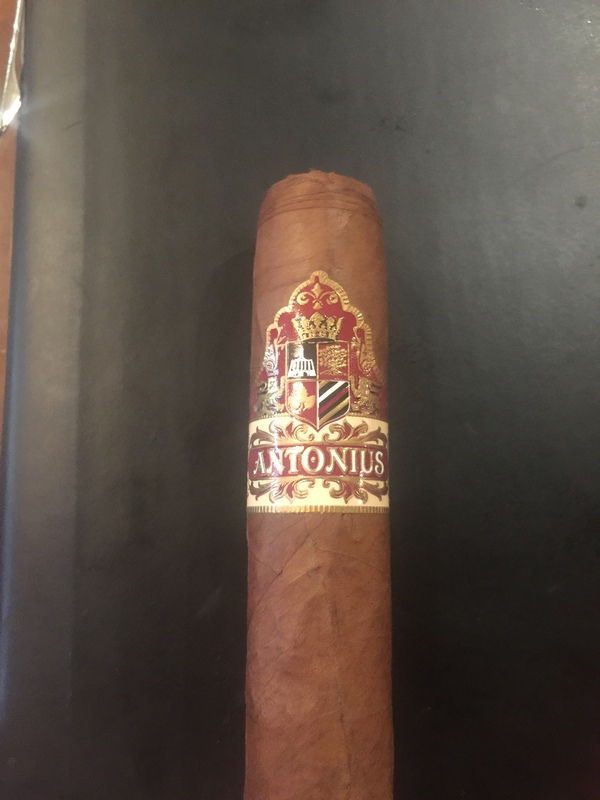 I found it balanced and it blended well with the Antonius, complimenting the wood notes of the cigar. This was a favorite at Highland, due to the lovely, sweet finish. Next was the Bowmore 12 year. Listed as an Islay, I found this to be rather pleasant compared to what most folks think of when someone says Islay Scotch. The mild citrus notes came upon me at the end of the drink, along with mild peat and sea. Last was the Laphroaig Select – a masterful blend of various scotches hand picked by a “select group” of tasters. This is honestly the lowest peated scotch they make. Peat has been a bone of contention for me for years, due to the effects it has on my stomach (I suppose I could drink less but where’s the fun in that? LOL!) But this whiskey shows reserve on the smokiness, adding more balance and less of that gasoline taste that tends to put drinkers of whiskey off. The finish of the Antonius went very well with just enough backbone and intensity to compliment the Laphroaig and not be overpowered. Overall, the Antonius was a solid choice for this whiskey pairing. Balanced with wood notes, hints of spice and vanilla appeared on the palate. Firm in the fingers, the draw was delightful. A cold draw brought in flavors of cinnamon and baking spice. Construction was also solid, though I forgot to get pictures for the blog. 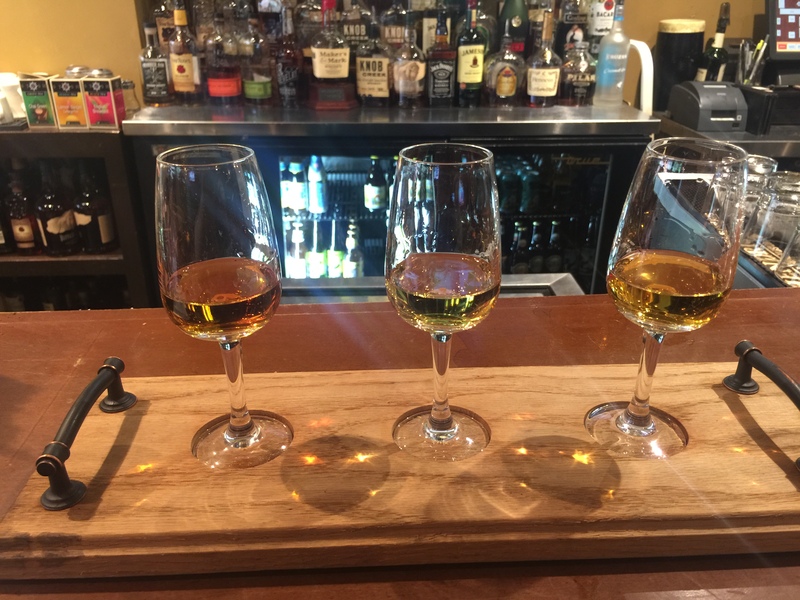 There were two other whiskies we’d tasted but sadly, my notes are not legible – typical of being a published romance novelist. They were both Laphroaig, however, and wonderful in their own right. I’d lit up a second cigar at this point. Currently, Highland Cigar Company is doing tastings on Tuesdays throughout the summer. For a different experience in Scotch Whiskey, see my notes about the Balvenie Masterclass held back in San Francisco a few years back.